The way loot boxes were originally intended to be implemented in Star Wars Battlefront 2, the latest entry in the series developed by DICE, was definitely controversial, and players weren’t happy of it, so much that their voices have been somewhat heard, with the team removing microtransactions for the time being. It seems like, however, EA is not going to give up on them entirely. Speaking at the Credit Suisse 21st Annual Technology, Media & Telecom Conference, EA CFO Blake Jorgensen stated that the publisher is not going to give up on the notion of microtransactions. They are listening to the community to better implement them, but they are not backing out of their strategy. We’re not giving up on the notion of MTX. We’re learning and listening to the community in terms of how best to roll that out in the future, and there’s more to come as we learn more. But I would say we’re certainly not changing our strategy. Jorgensen also stated that cosmetic microtransactions couldn’t be implemented due to canon. If you did a bunch of cosmetic things, you might start to violate the canon. Darth Vader in white probably doesn’t make sense, versus in black. Not to mention you probably don’t want Darth Vader in pink. No offense to pink, but I don’t think that’s right in the canon. 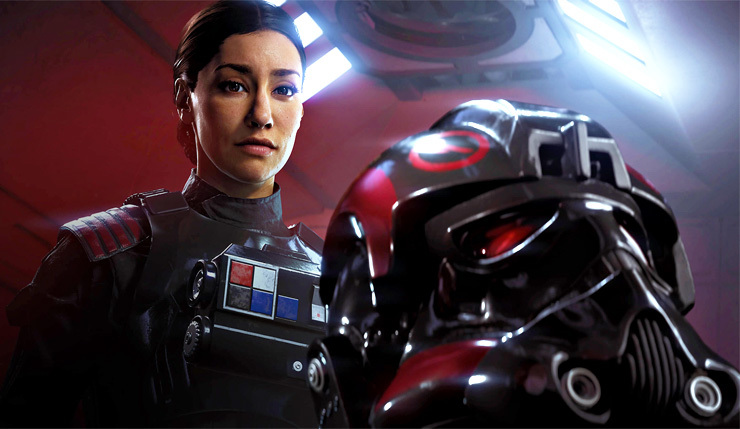 Despite all the controversy, Jorgensen feels like they have built one of the best games they ever did with Star Wars Battlefront 2. Player retention is also one of the best for EA published games. The great news is, this is one of the best games we’ve ever built. And we’re hearing that from the players who are actually playing the game and engaging in the game. The retention day over day is better than we’ve seen in almost any of our games, the depth of the game is incredible, the size of the game unbelievable, and we’ll be adding in the next couple of weeks more content than we’ve ever added in a game before. Star Wars Battlefront 2 is now out on PC, PlayStation 4 and Xbox One. You can check out our review to learn if the game is indeed a solid title, microtransaction and progression issues aside.